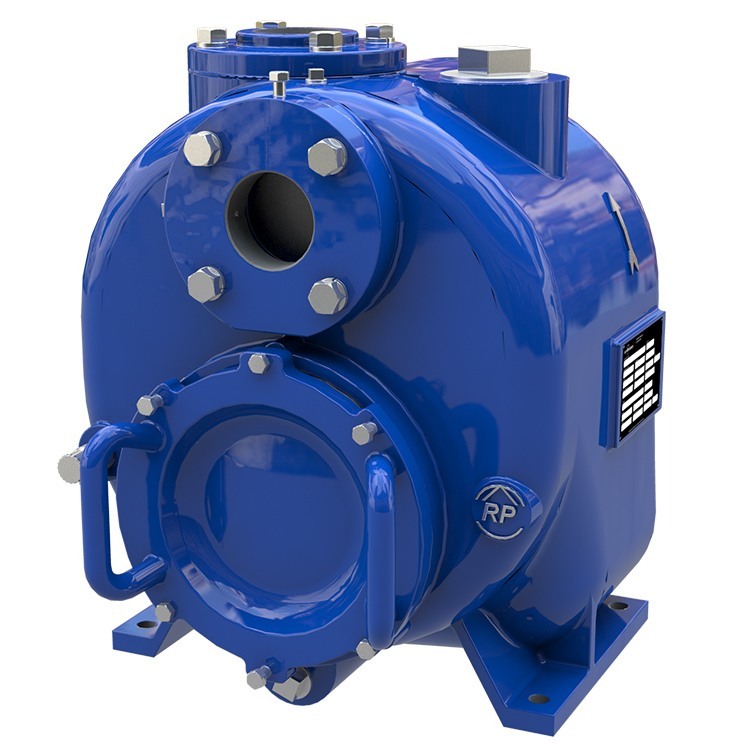 The SWP is a self-priming pump for solids handling applications. It can handle clear liquids or with solids. Its large volute design allows automatic repriming in a completely open system without the need for suction or discharge check valves. Applications Suitable for pumping of clean and muddy liquids, and fluids with solids in suspension in: mines, paper mills, food processing plants, wineries, automotive and steel industries, wastewater treatment plants, sewage and drainage, irrigation systems. The SWP pump line is designed to allow easy access to its interior parts (impeller and seal) for ease of maintenance with the use of common hand tools, therefore reducing operating costs. Moreover, its large volute design allows automatic repriming in a completely open system without the need for suction or discharge check valves. Ideal for waste handling and sewage applications, it can handle clear liquids or with suspended solids.